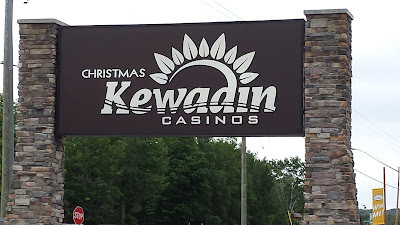 I entered the Upper Peninsula of Michigan from Wisconsin intending to drive to the Kewadin Casino in the town of Christmas (no kidding). While listening to a country FM station the song playing was interrupted by that buzzing emergency announcement sound. The part of the state I was driving to was under a severe thunderstorm warning with predictions of 60 mph winds and golf ball size hail. Plan "B" suddenly coalesced and I stopped overnight at a city park in Crystal Falls, MI, well short of the storm track. I made it to the casino the next day grateful to have avoided the potentially solar panel damaging golf balls falling from the sky and pelting the Tank. 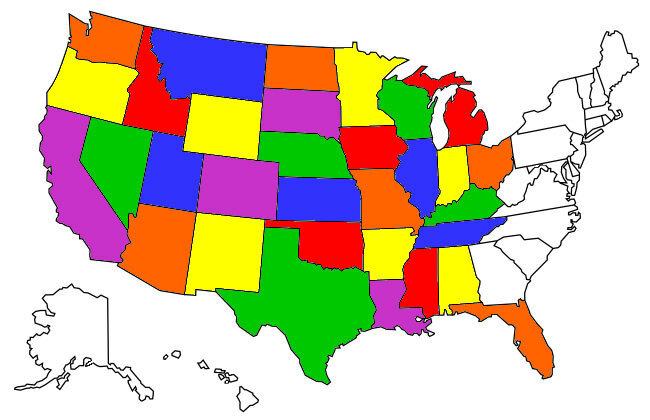 It's Christmas every day in Christmas, MI. The Tank parked free with complimentary hookups! 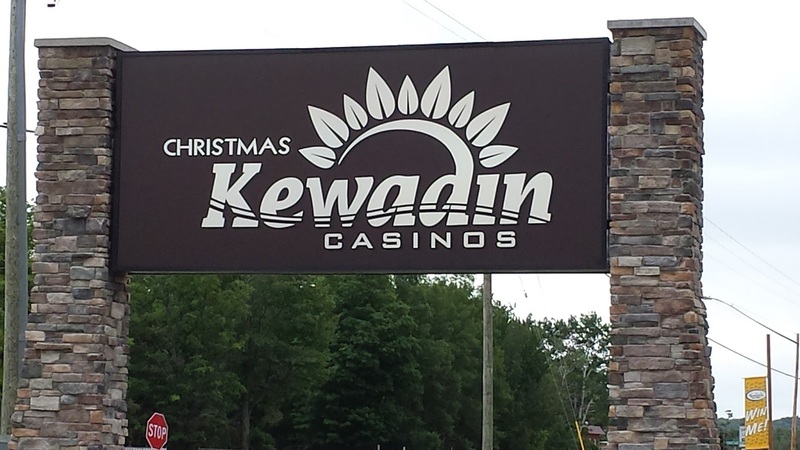 The Kewadin Casino chain in the UP is owned and operated by the Sault Ste. Marie Chippewa Indian tribe. The Sault Tribe’s ancestors were Anishinaabeg fishing tribes whose settlements dotted the upper Great Lakes around Lake Superior, Lake Michigan and Lake Huron, throughout the St. Marys River system and the Straits of Mackinac. 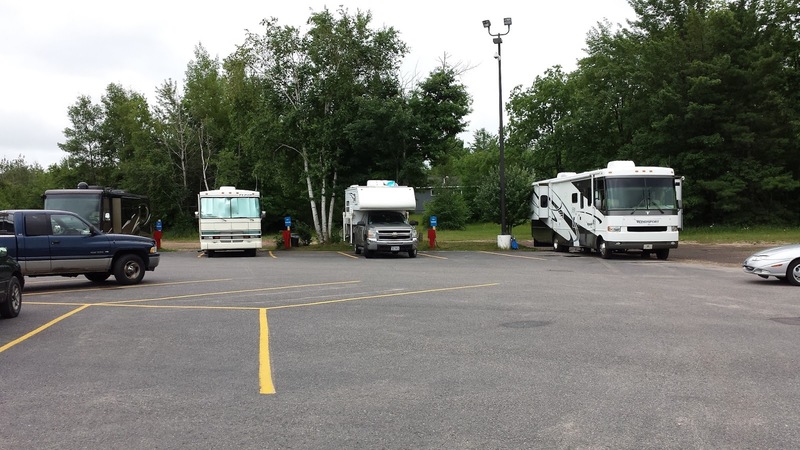 Anishinaabeg gathered for the summers in places like Bahweting (Sault Ste. Marie) and broke up into family units for the winter. Anishinaabeg translates as Original People. The Tribe's six casinos employ over 2000 people in the UP making it the largest non-governmental employer here. One of the advantages of living a mobile life-style is that if you don't care for the weather where you are you can mobile on down the road to better weather. After I do my "Anytime Fitness" workout (and get a shower) tomorrow I'll probably cross back over into the Lower Peninsula and see if I can find some warm weather.